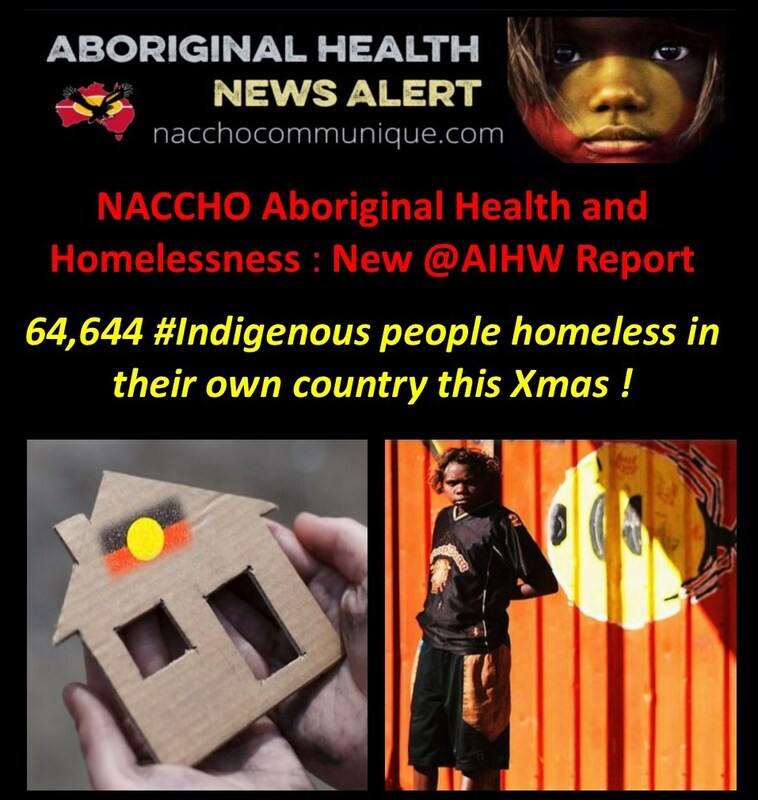 NACCHO Aboriginal Health and homelessness : New @AIHW Reports : Will 64,644 #Indigenous people be homeless in their own country this Xmas ? ‘To be homeless in your own country is a tragedy for First Nations Peoples, and the failure lies at the door of the Turnbull Government. Indigenous client numbers increased by 5% since 2015–16 to around 64,644 in 2016–17, and grew at a faster rate than the general SHS population (3% increase). The length of Indigenous client support continues to increase, up from 44 to 46 days in 2016–17, and remains notably longer than that of non-Indigenous clients (39 days in 2016–17). The proportion of Indigenous clients receiving accommodation servicesdecreased to 42%, down from 44% in 2015–16; however, the median length of accommodation increased slightly (20 nights, up from 19 nights) but remains significantly shorter than non–Indigenous clients (41 nights). Clients may also be facing additional challenges when they present to an agency for assistance. 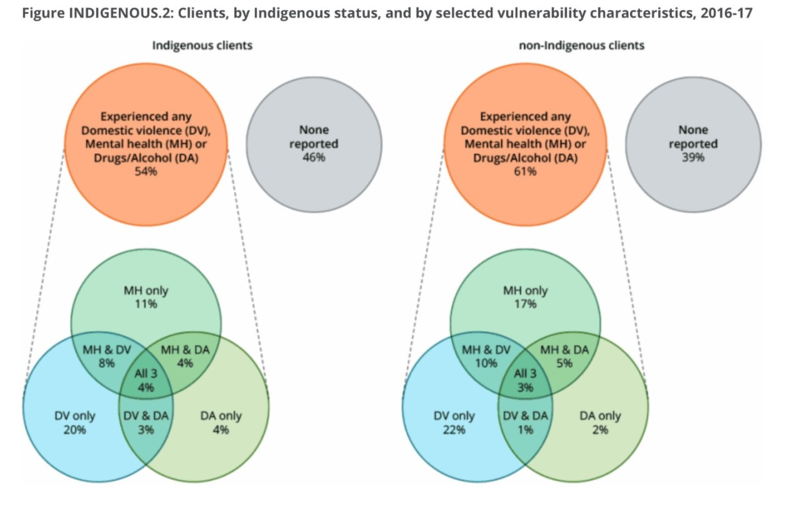 Figure INDIGENOUS.2 outlines the multiple vulnerabilities reported by Indigenous and non–Indigenous clients (aged 10 and over) of homelessness services. Specifically, domestic and family violence, mental health issues and problematic drug and/or alcohol use identified within these populations. Alarmingly, the AIHW also found that the gap between Indigenous and non–Indigenous rates of service use has continued to widen. The report found that in 2016–17 Indigenous people were 9.2 times more likely to use specialist homelessness services than non-Indigenous people, up from 8.2 times in 2012–13. The use of homelessness service use by Indigenous clients living in remote or very remote areas has increased by the greatest margin over time; from 499 Indigenous clients per 10,000 population in 2012–13 to 721 in 2016–17. This is in contrast to non- Indigenous clients in the same areas where the rate decreased from 53 clients per 10,000 to 41 clients over the same time period. The Turnbull government has yet to release its Discussion Paper on the ‘refresh’ of the Close the Gap targets. 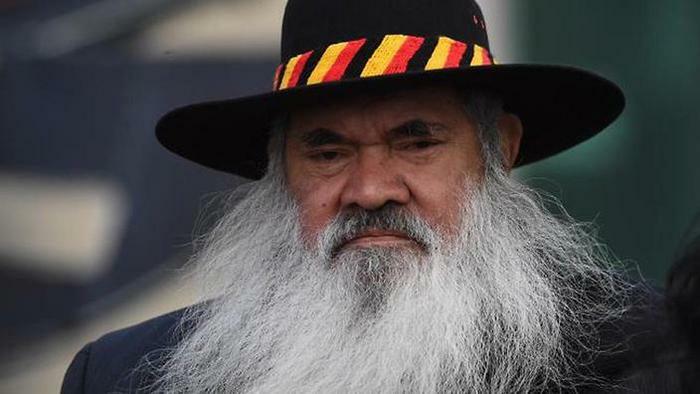 Aboriginal and Torres Strait Islander people who are dealing with homelessness or the threat of homelessness daily.